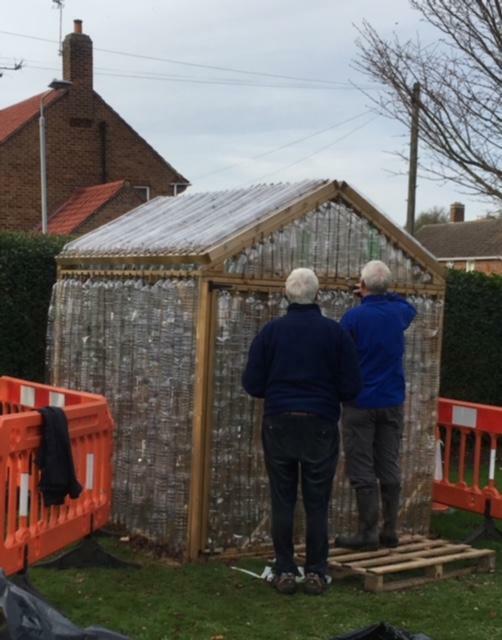 Completing the EcoGreenhouse - made from plastic drinks bottles and canes on a wooden frame - at Robert Miles Infant School. 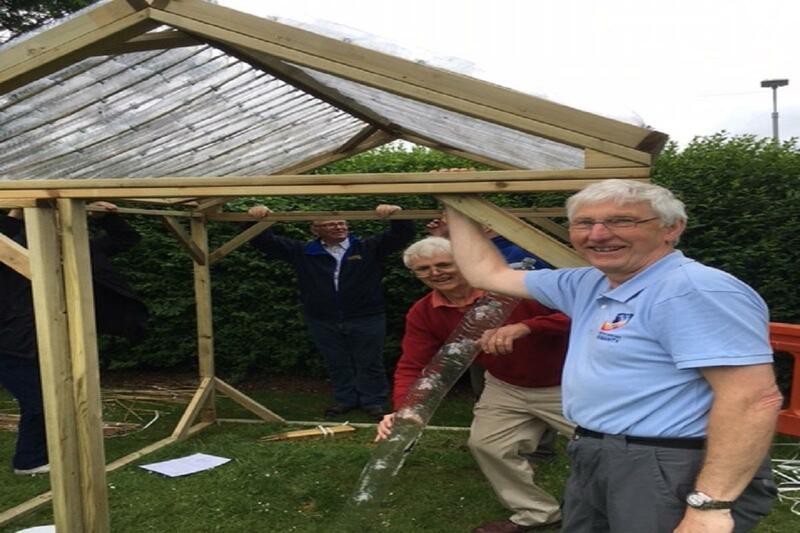 The EcoGreenhouse has a sturdy timber frame, and the roof and side are made from 2 litre drinks bottles with the bottoms cut off. They are threaded onto stout canes, which are then attached to the frame. 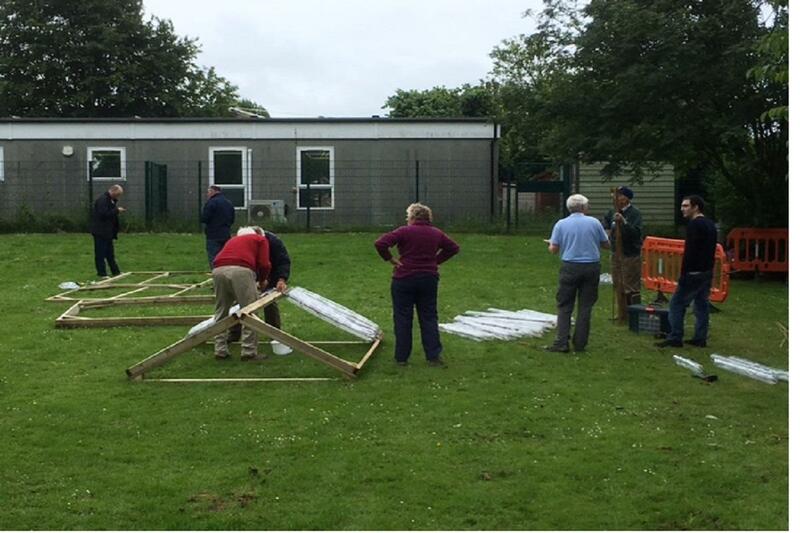 We started construction in June, but ran out of bottles having done the roof and the back. 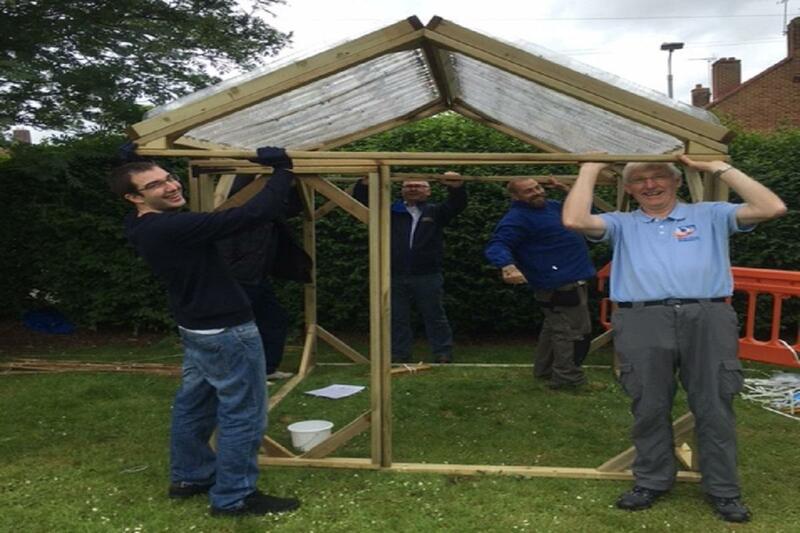 At the start of November we had enough bottles to make the sides, so we returned to Robert Miles Infant School to complete the job. Sainsbury's in Bingham, who helped us construct the Eco Greenhouse and are actively collecting more bottles.